Beauty contests are already... well, they're a thing. A thing that happens and that maybe shouldn't happen, but also for some people it may be their only opportunity to access certain resources. Also, I used to watch them alllll the time. I admit it! 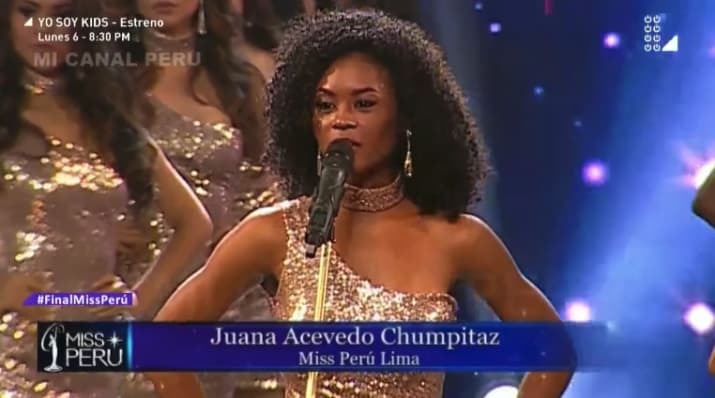 Anyways, the Miss Peru contestants win the AWESOME AWARD! Contestants in the Miss Peru competition (and maybe others, I don't know), are required to give out their body measurements when they introduce themselves. This time they gave statistics regarding violence against women in their own country instead. It looks like the contest organizers were even in on it. During the swimsuit competition, they projected news stories on the back wall regarding high profile domestic violence and abuse cases. The question period asked women what laws they would change to make women safer in their country. This is AWESOME. A high five and a hug to all these women, as well as the contest organizers.